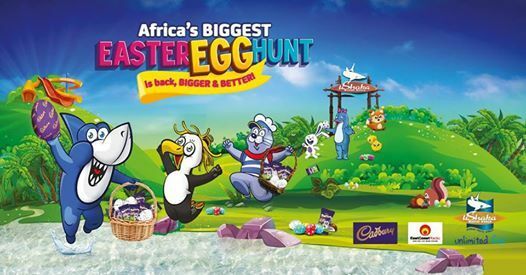 Africa’s largest Easter Egg Hunt is going to be bigger and better than ever before, featuring Cadbury Dairy Milk & East Coast Radio as the events 2019 sponsors. 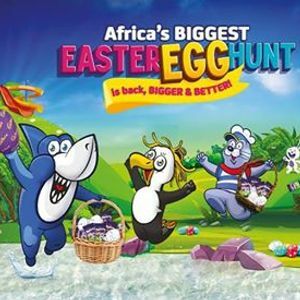 Our ticket not only gets the kiddies to participate in the hunt with their special Cadbury Easter Egg hunt map in hand to find over 100,000 chocolate goodies on both days, but you also get entrance into uShaka Wet 'n Wild & uShaka Sea World! So don’t miss it. Expect a completely new course with plenty of added activities and special prizes. This year, we’re not telling… but, on the big day, uShaka Marine World’s Ocean Warrior Mascots - Delia the Dolphin, Siva the Seal, Phila the Penguin and Raggy the Shark – and other fun visitors will fill you in about this memorable family event. ?